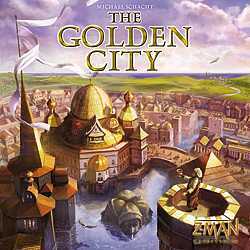 From far away the adventurers come to the island with the golden city in its center. Having just arrived to the island, the first shops are opened directly at the coast. From there, it is possible to open up others in the villages along the street connections. That’s worth it because by that you’ll get goods, keys, money and concessions which you need for getting ahead. And finally, someone will be able to establish himself in the Golden City and thus get the most precious trading contracts.